Alexandria Ocasio-Cortez is a rising star in the Democratic Party. But the New York Socialist just got thrown under the bus in a way she never thought possible. And it’s all part of a massive scandal that could lead to the end of Ocasio-Cortez’s career. Alexandria Ocasio-Cortez is the most famous socialist in America. 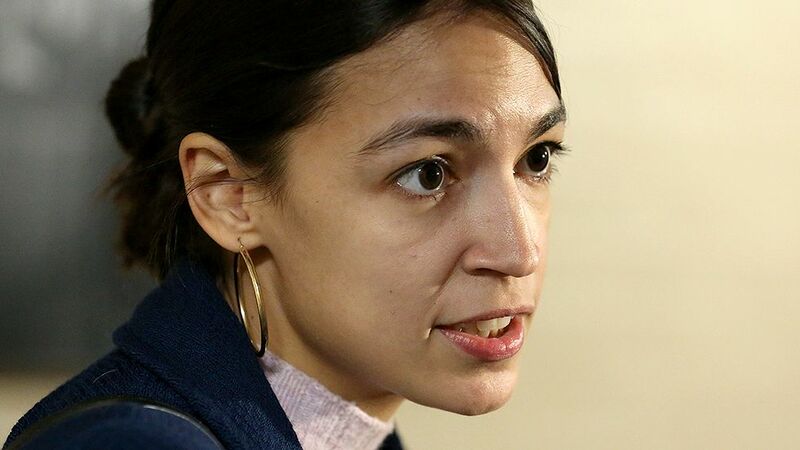 The far-left New York Democrat has been hailed as the future face of the Democratic Party as it increasingly moves to the left. But behind the scenes, Ocasio-Cortez is in huge trouble. The freshman Congresswoman is now embroiled in a massive and growing scandal related to her campaign finance reports where hundreds of thousands of dollars were allegedly funneled to her current Chief of Staff. For her part, Ocasio-Cortez is trying to sweep the controversy under the rug. And now, she’s dealing with the fallout of being removed from the board of one of the very organizations that helped to propel her to victory in last year’s congressional primary. “The New York Democrat and her chief of staff, Saikat Chakrabarti, who served as her campaign chair, joined the board of Justice Democrats in December 2017, according to the political action committee’s website,” adds the Daily Caller. The news comes after Chakrabarti and the rest of Ocasio-Cortez’s campaign apparatus are battling allegations that they used her campaign to enrich themselves. Ocasio-Cortez has remained silent on the matter, using the traditional Washington tactic of directing questions to her lawyers. And so far, those lawyers have said that she was removed from the board last June, but as late as March 14th this year, she was listed as an “entity governor” of the PAC. Both Ocasio-Cortez and her Chief of Staff Saikat Chakrabarti were officially removed from Justice Democrats’ board on March 15. According to a corporate document filed to the D.C. Department of Consumer and Regulatory Affairs, that was the day they were officially dropped from the PAC’s leadership group. The scandal involving her potential violation of FEC laws has only grown too. “Ocasio-Cortez never disclosed to the Federal Election Commission (FEC) that she and Chakrabarti controlled Justice Democrats while it simultaneously supported her primary campaign,” reports the Daily Caller. Should the FEC find that Ocasio-Cortez’s campaign and the PAC she helped to lead were operating in conjunction with one another, it could lead to “massive reporting violations” or potentially even jail time for Ocasio-Cortez and Chakrabarti, according to former FEC Commissioner Brad Smith.